Denton and Reddish MP, Andrew Gwynne, joined other MP’s and charity staff as he dressed in pink to lend his support to Breast Cancer Now’s flagship fundraising campaign, Wear it Pink, which will see thousands of people across the UK adding a splash of pink to their outfits on Friday 20 October and raise vital funds for breast cancer research. 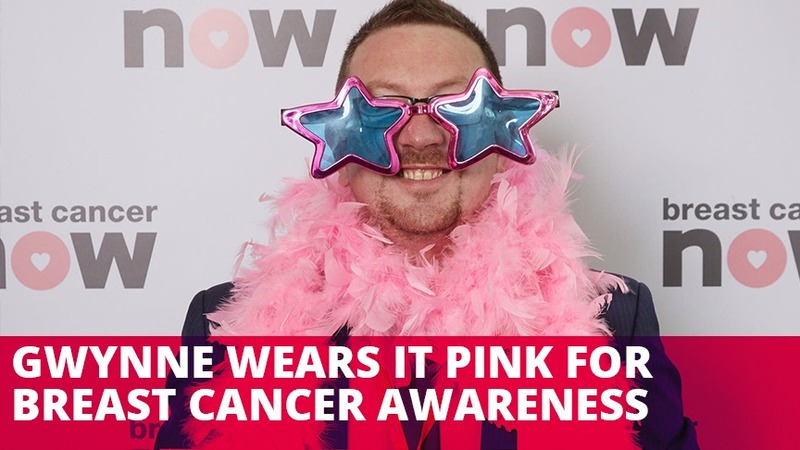 Gwynne is encouraging all his constituents from across Audenshaw, Denton, Heaton Chapel, Heaton Norris, Reddish and Dukinfield to join him, and sign up to take part in the UK’s biggest pink fundraiser. The event, which takes place during October’s Breast Cancer Awareness Month, is in its 16th year and has raised over £30 million to date for Breast Cancer Now’s life-saving research. The local MP, joined by fellow parliamentarians in Westminster to show his support for the thousands of women and men affected by breast cancer each year, encouraging people across the UK to take part on wear it pink day.